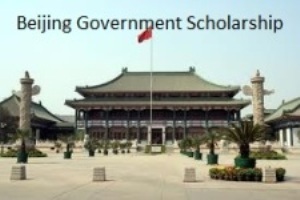 Beijing Government is offering scholarships for international and developing countries students to study for Undergraduate, Master’s and Doctoral degrees 2019 and annually. To be taken in (country): Applicants may choose institutions and specialties from the Chinese institutions of higher education in the Beijing region. About Scholarship: The Beijing Government Scholarship (BGS) was established by Beijing Municipal Government, aiming to provide tuition fees fully or partially to the international students studying or applying for studying in Beijing. Its administrative office is the International Cooperation and Exchange Office of Beijing Municipal Commission of Educations, which is in charge of project establishment, review, acceptance and daily management of the Beijing Government Scholarship Program. The international students applying for the Beijing Government Scholarships shall normally submit relevant materials to the universities in Beijing that he/she hope to apply by the end of February every year. 1) Applicants must be non-Chinese nationals in good health. Applicants for undergraduate studies in Beijing must have completed senior high school with good grades and be under the age of 30. Applicants for Masters degree studies in Beijing must have Bachelor’s degree and be under the age of 35. Applicants for Doctoral degree studies in Beijing must have Master’s degree and be under the age of 40. Applicants for Bachelor, Masters and Doctoral Degrees in Chinese universities and colleges in Beijing region: duration of scholarship should be under 4 years. For specific application means, you can consult the government departments and relevant institutions responsible for dispatching students abroad in your country, Chinese embassies or consulates; or directly apply to the universities qualified to issue such scholarship in Beijing.